Thank you to Beautiful Kitchens and Baths Magazine for featuring our work in this issue. To see the original, click here. Click here to connect with Better Homes and Gardens on Facebook or follow @BHG on Twitter. 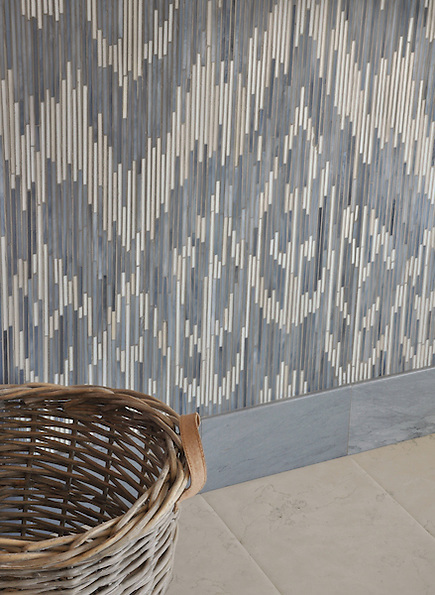 Loom, a jewel glass mosaic shown in Quartz, Aquamarine, Tanzanite and Turquoise, is part of the Ikat Collection by New Ravenna Mosaics. 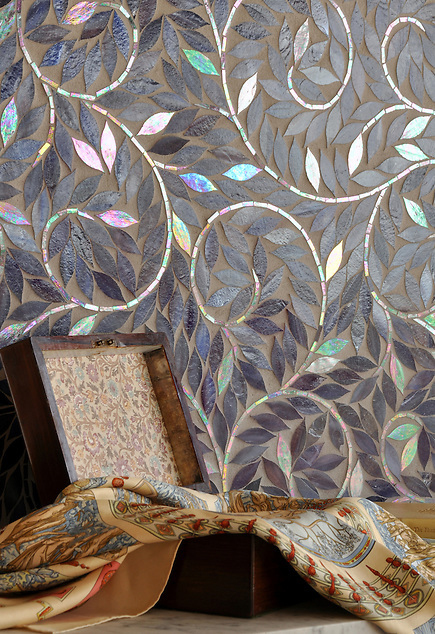 Pamir, a jewel glass mosaic shown in Quartz and Mirror is part of the Ikat Collection by New Ravenna Mosaics. 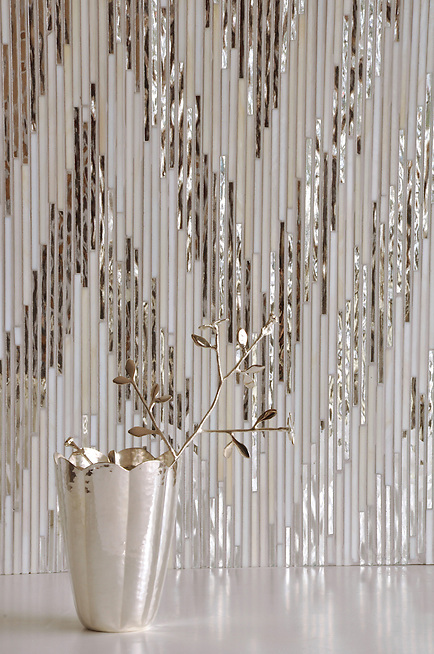 Weft, a jewel glass mosaic shown in glass Quartz and Pearl, is part of the Ikat Collection by New Ravenna Mosaics. To see more of our Ikat Collection, click here. 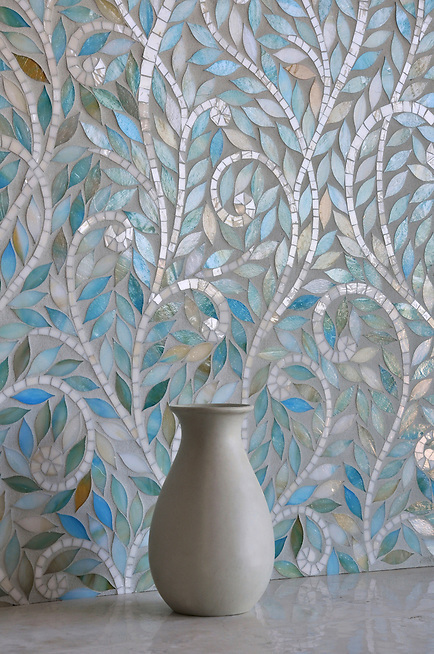 Climbing Vine, a jewel glass waterjet mosaic, is shown in glass Quartz and Aquamarine. Jacqueline Vine shown in Amethyst glass. 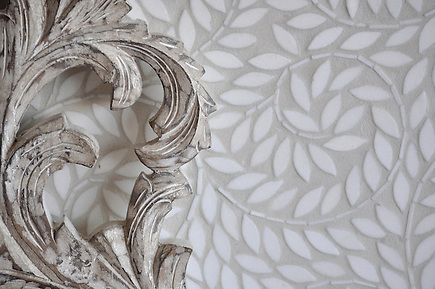 To see more patterns like Climbing Vine, click here. Please feel free to share your thoughts and ideas with us by clicking the gold social icons below.